Home actor actor-model Derek Ramsey Photos with the Stars Rocky and Derek Rocky and Derek Ramsey Video with the Stars Derek Ramsay and Rocky Together in a Video! 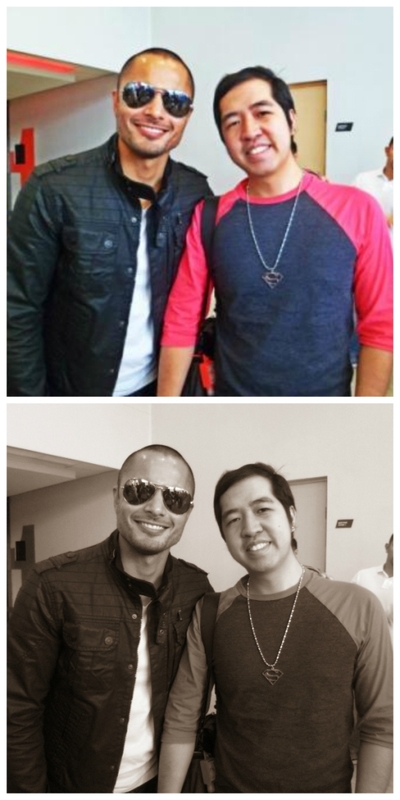 For the third time around, I met the Universal Leading Man Mr. Derek Ramsay. This time, right after his grand presscon of his upcoming TV5's fantaserye "Kidlat" where he will play the title role. This will be his very first TV series in the Kapatid network after transferring from the Kapamilya. I first met Derek last March of this year when he was still in the Kapamilya network during the press conference of his horror movie "Corazon: Ang Unang Aswang." Afterwards when he transferred to TV5, I was invited by the Kapatid network to witness his contract signing! I was also supposed to meet him again for the promo of his newest film "A Secret Affair." But for certain reason, it wasn't prosper! But sooner, we will meet, talk, take photos and video again!